Home / Recipe / The best easy and healthy Banana Nut Muffin Recipe you'll EVER try! 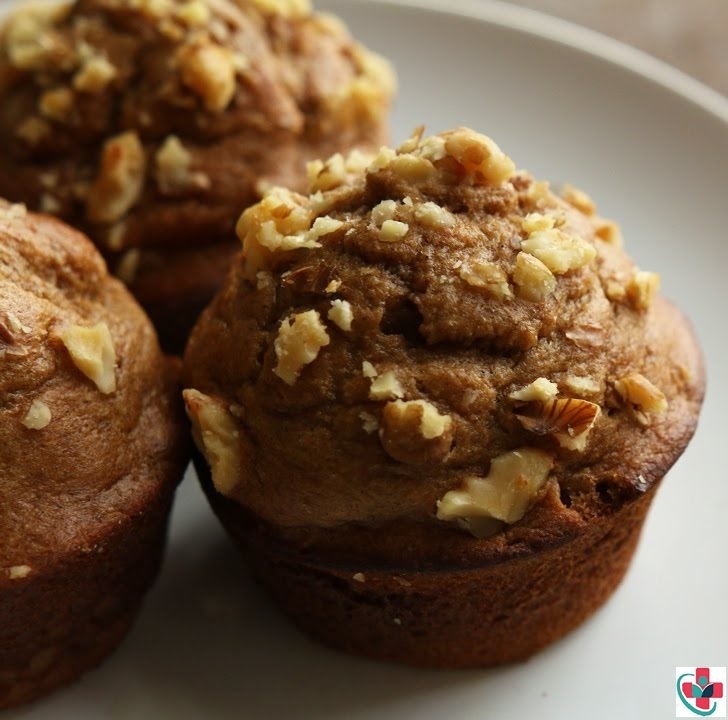 The best easy and healthy Banana Nut Muffin Recipe you'll EVER try! These muffins are fluffy and moist, and I’m fairly certain that if you’re nice enough to let somebody have one they won’t even believe they’re healthy. That’s because every muffin is jam-packed with some serious banana flavor and lightly sweetened with a touch of honey. And the craziest thing of all is that each one is only 160 calories – I still don’t know how that’s even possible. Oh yeah, did I mention how easy these muffins are to make?! This is one of my go-to clean eating recipes - every muffin just turns out incredibly moist and delicious. Add all ingredients to a blender and blend until smooth. Coat a (12 muffin) muffin tray with non-stick baking spray and evenly distribute the batter between each mold. Top each mold with chopped walnuts. Bake at 375°F or 190°C for 12-14 minutes.